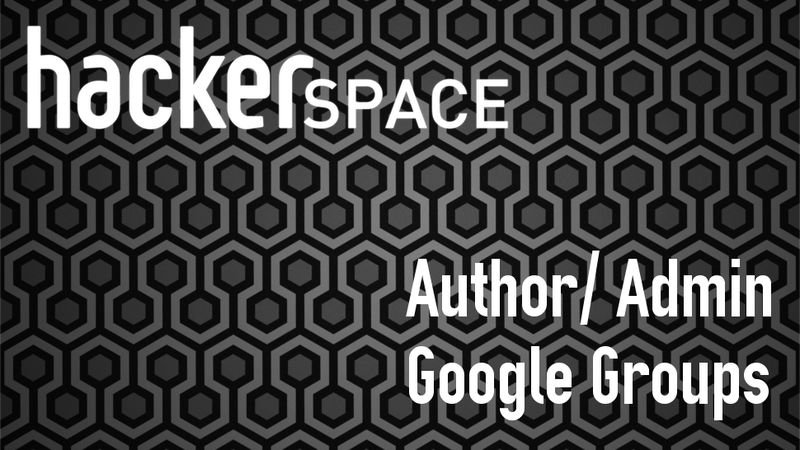 This is a simple reminder to all Hackerspace Authors (of which there are a lot now) that the Hackerspace Authors Google Group is open to all Authors. We use it for sharing tips for articles, letting you know about updates, advice about articles and general discussion. It would be really useful if you could join but don't feel that you have to. If you do join please supply your Kinja username in the 'additional information' box, this makes it much easier to verify you're an author. Edward Callow, the author of this post, is a blogger, photographer and technology expert. When not writing for Hackerspace, he's designing websites and working with computer security. You can follow him on Twitter @MrEdwardCallow or email him.